Read up on how to set up your streaming environment! This guide was created to help participants of the #24hrstartup Challenge. Get OBS Studio. Be careful not to download the Classic version since it’s not supported anymore. After installing OBS use Tools > Auto-Config Wizard to optimize for streaming. Tweak Twitch Settings: Copy the Stream Key, paste it in OBS and put ?bandwidthtest=true at the end. This way you can test the stream without actually going live. Remember to remove it after you finished testing. In OBS I also recommend changing the Recording format to mov if you plan to record your stream locally. FLV doesn’t play well with editing studios in case you want to do something with your recording. You can also change the optimization preference if you want. It makes your stream a bit more “live” (less of a lag) so interacting with chatters is faster. It will be lower quality though, I recommend testing both and seeing what you like better. Set Followers-only mode to off if you're just starting out. It will allow everyone to send you a message in chat, not just followers. You can also tweak the automod from Moderation if you want more control over what gets posted. 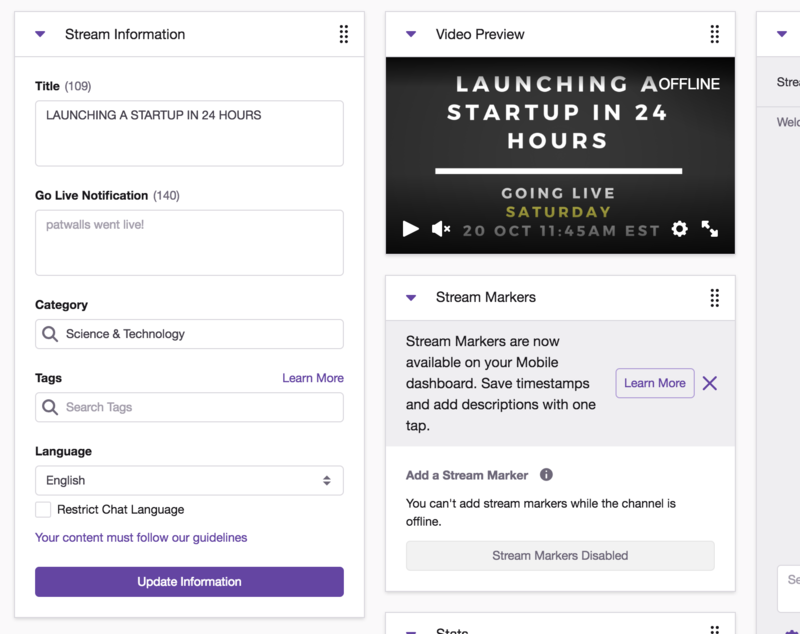 In Twitch, update your profile and add a fun title, preview image, etc. This is what mine looks like. Make sure to pick a Category (usually coding is under Science and Technology). Note: Shipstreams will only log and display streams from this category! Read the Twitch Subreddit's Wiki. Credit to @valentinourbano for this awesome guide. If anyone has any other tips they're welcome to share! Learn more about livestreaming as a maker and how it can help you be more focussed. 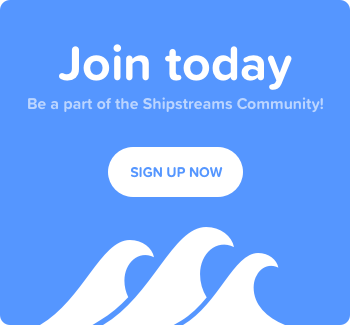 Keep shipping with us!